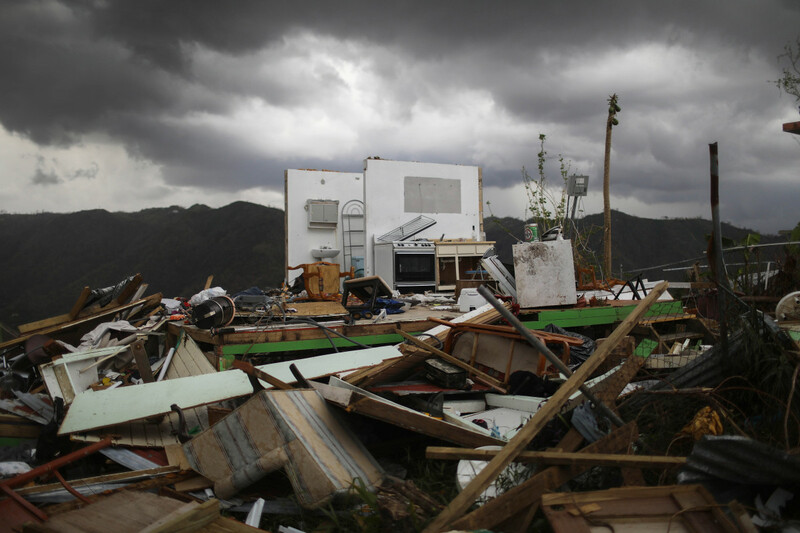 The remnants of a destroyed home stand more than two weeks after Hurricane Maria hit the island on October 6th, 2017, in Morovis, Puerto Rico. 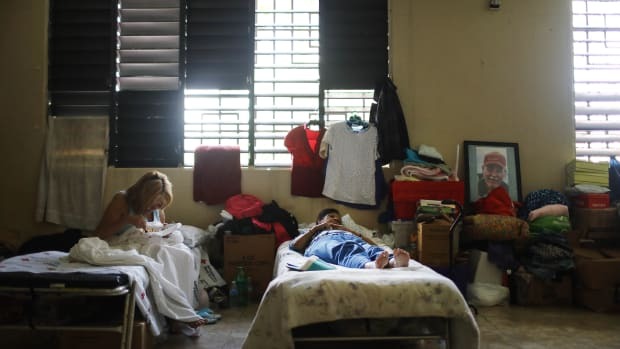 Three weeks after Hurricane Maria ripped through Puerto Rico, half of the population still lacks fresh water and medicine, and almost 80 percent doesn&apos;t have electricity. The scarce resources arriving from international private sources are quickly running out. Satellite communication remains limited. Despite this crisis, President Donald Trump&apos;s support for this United States territory has been nominal at best. At first, he all but ignored the island&apos;s devastation. Federal help arrived five days after the storm, but then he started blaming residents for their problems. Most recently, Trump threatened to pull federal aid workers out of Puerto Rico. This attitude is shortsighted. As a Caribbean scholar of security and national defense, I would contend that helping Puerto Rico is actually in the U.S.&apos;s own best interest. For the island is much more than just a beach destination—it is a crucial piece of modern America&apos;s economic and security apparatus. 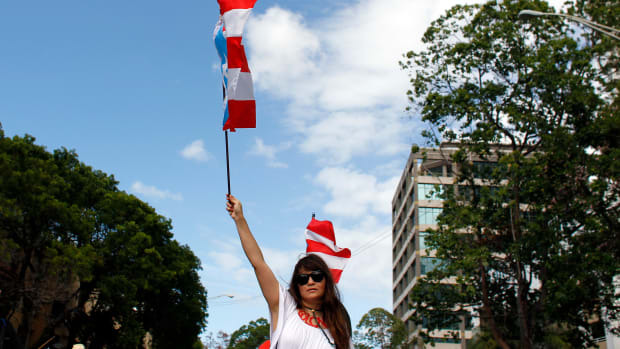 Since World War II, Puerto Rican governments have courted investment by granting fiscal exceptions, concessions, and other privileges to mainland American entrepreneurs. It worked: Throughout the 20th century, companies flocked to the island chasing cheap labor and big tax incentives. In 1976, tax credit Section 936 exempted companies operating on Puerto Rico from federal corporate income tax. This lured many companies to the island, top among them drug manufacturers. Today, American pharmaceutical factories in Puerto Rico produce 13 of the world&apos;s top-selling brand-name drugs. Since Hurricane Maria took out Puerto Rico&apos;s power grid, these facilities have lain dormant, stoking fears that supplies of high-demand drugs may soon run out. Saline solution, produced by Baxter, and Humira, used for rheumatoid arthritis, are among the drugs made in Puerto Rico. Stocks of the blood thinner Xarelto could also be threatened. The U.S. has long used the territory of Puerto Rico to serve American geostrategic interests. Seeing its unique Caribbean location as pivotal in defending America&apos;s oceanic "third border," consecutive U.S. administrations have built large-scale military facilities on the island. From 1940 to 2003, the U.S. Navy used the Puerto Rican islands of Vieques and Culebra as bombing ranges, testing sites, and military training grounds. This wasn&apos;t great for Puerto Ricans, who lost access to huge swaths of their land—some of which remains environmentally contaminated today—but the facilities were critical to American and North Atlantic Treaty Organization war efforts, in World War II and beyond. Right now, these military bases—among the few places in Puerto Rico with electricity—are being used for the recovery effort. 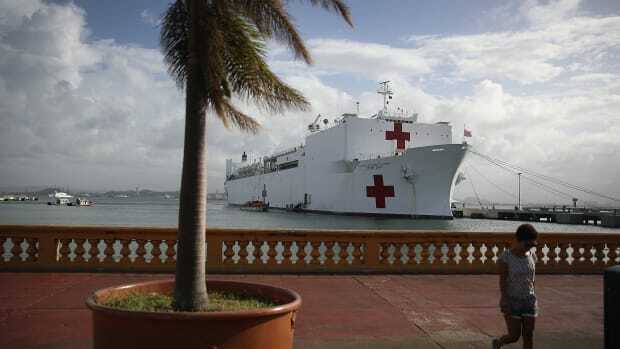 In a recent visit to the island, military officials supervised the work of the 7,000 troops who&apos;ve been deployed as aid workers and visited the hospital and airport at Roosevelt Roads. Puerto Rico is also home to parts of the nationwide "Over the Horizon" radar system, which helps the U.S. maintain control over vast aerial and marine areas of the Western Hemisphere. It also aids U.S. efforts to stop incoming drugs trafficked from South America. If humanitarian assistance isn&apos;t sufficiently compelling, then self-interest should compel the federal government to do much more to rebuild Puerto Rico. 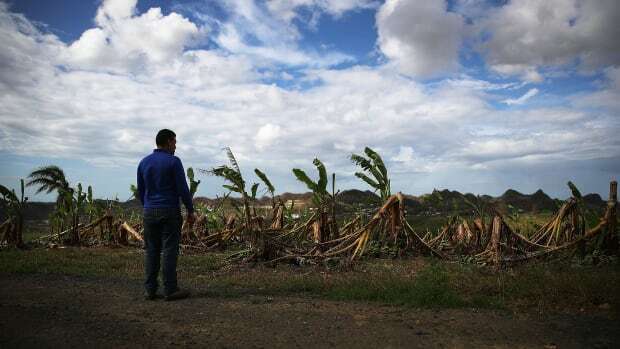 Three-and-a-half million people have been unable to receive external help because of the Jones Act, a 1920 law that regulates maritime exchange and circulation in U.S. waters, including in Puerto Rico, Hawaii, and the U.S. Virgin Islands. Despite calls from Senator John McCain and others to waive the act to speed hurricane relief, the Trump administration recently let an emergency waiver expire. Finally, there&apos;s the matter of Puerto Rico&apos;s financial crisis. Earlier this year, the island declared bankruptcy in the face of an "unpayable" $123 billion debt. 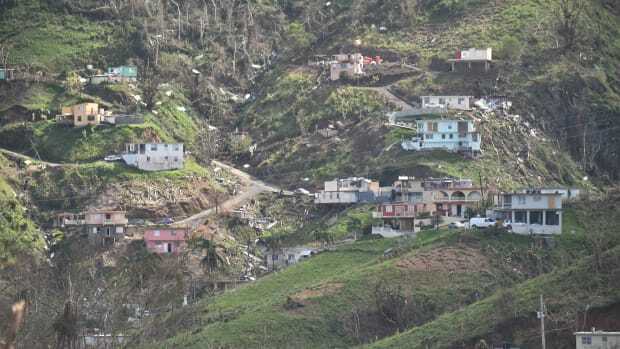 The resulting cutbacks in public expenditures increased the precariousness of the 50 percent of Puerto Ricans who live in poverty. It also threatens to push up the island&apos;s 12 percent unemployment rate. Trump is now using Puerto Rico&apos;s debt crisis against it, citing a "total lack of accountability" in Puerto Rico as a reason for withdrawing federal support. That&apos;s a real exaggeration, but if the administration wants to ensure that resource distribution is effective and equitable in a territory with a history of bureaucratic inefficiency and public corruption, there are certainly ways to do so. In the end, simply abdicating responsibility for this ravaged American territory isn&apos;t just wrong, it&apos;s also very risky. This article was originally published on The Conversation. Read the original article. Lillian Bobea is an assistant professor of sociology at Bentley University. Puerto Rico's health crisis was 100 years in the making. Extraordinary efforts to bolster access to voting and participation in civic life have led to a high level of political engagement in Puerto Rico. 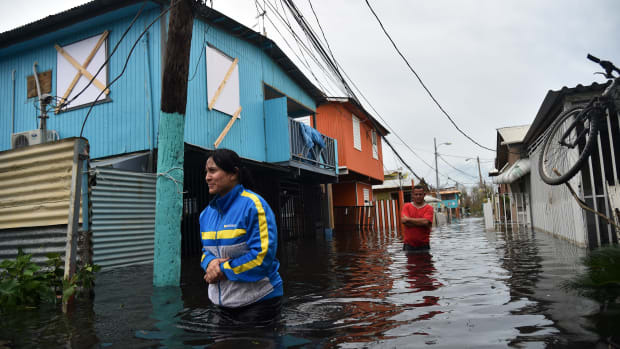 The deepening humanitarian crisis in Puerto Rico reveals a disaster response that is categorically different from the actions taken in the wake of hurricanes that struck the continental U.S. recently. How critical disaster studies can teach us what went wrong in Puerto Rico.